The track work has been done, now it's time to install the signage! Parks Victoria have produced a series of trail signage to be put in at Riflebutts Reserve but first... we need to install the posts for them to be mounted to. This Sunday from 1pm to 4pm. Please bring along a shovel, post hole diggers, crowbars. Some young MMBCC members have produced some sensational results in the last week. 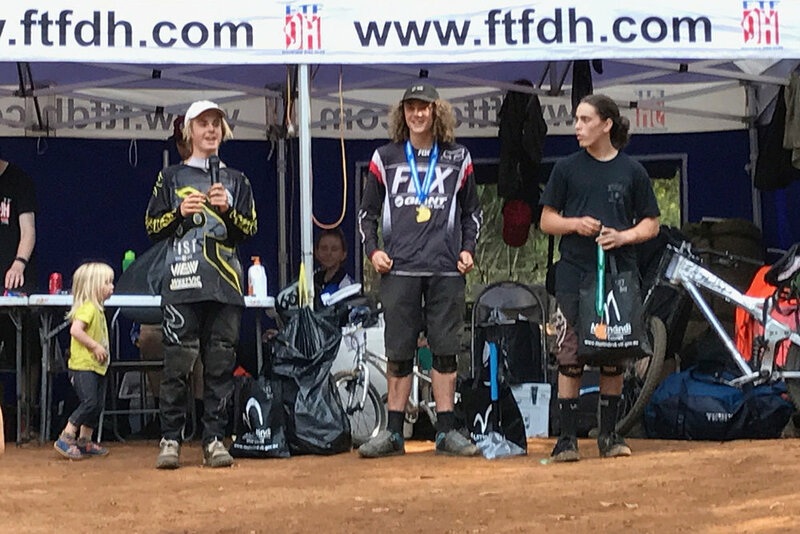 Charlie Jones, left, got second and Matt Empey, centre, took the win at Narbethong in the Under 17 class at the Victorian DH Series round 2. 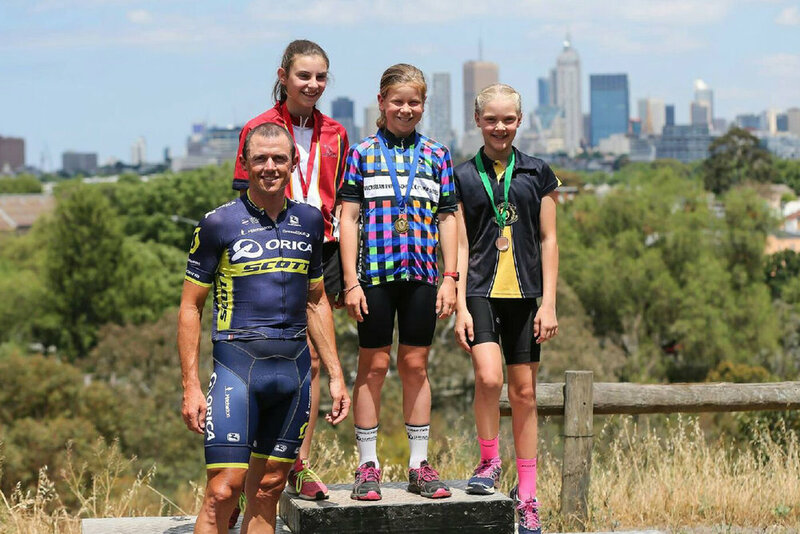 Talia Appleton took the win (and the congratulations from MMBCC life member Simon Gerrans) in her age group at Yarra Boulevard, Kew in the Victorian School Cycling Championships. 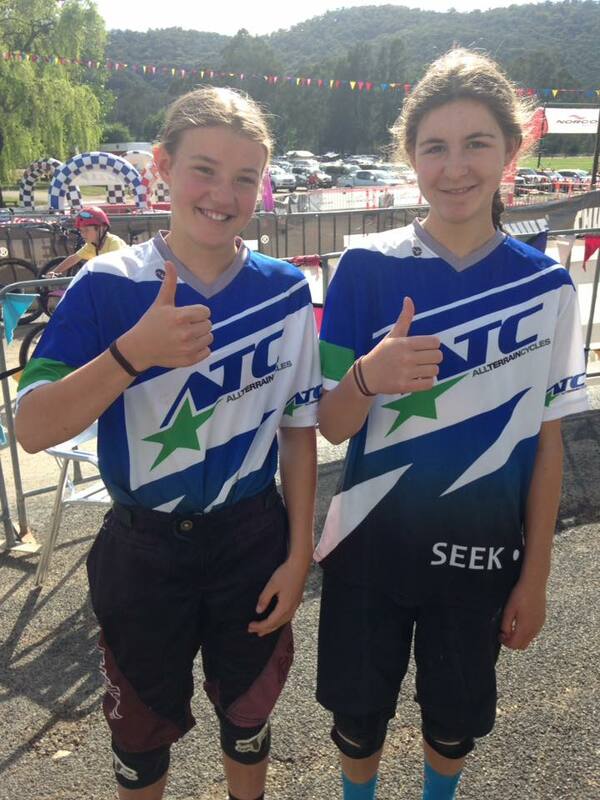 Elise Empey and Bella Green took first and second in the Gravity Enduro of the Thule Bright 24-hour MTB race on Sunday. Congratulations to all these MMBCCers! See you at the road race tonight. Even if you don't race, come along to have a look and to the Delatite Hotel afterwards for race presentation and to celebrate these brilliant results.